Gouache and pen. 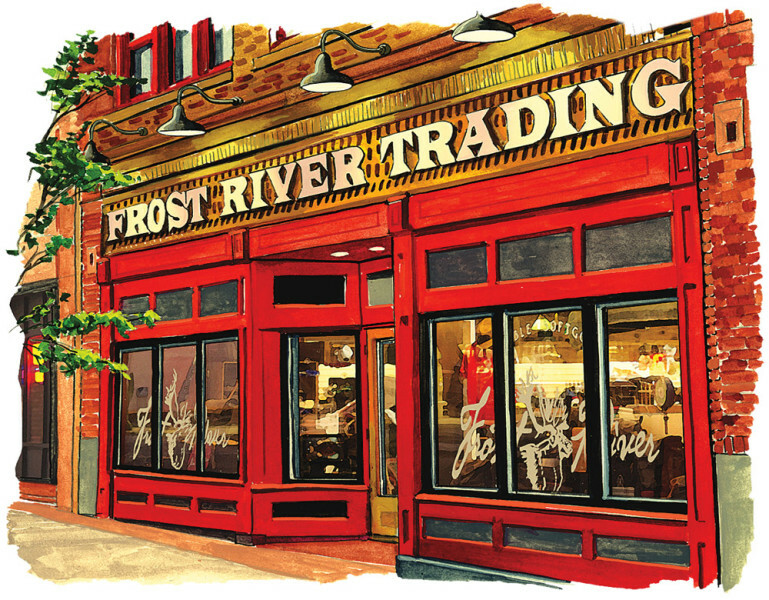 The Frost River storefront in Duluth’s Lincoln Park. Painted for the catalog.